Over tea and bagels in Williamsburg, Tema Stauffer took some time to discuss her latest work, Paterson, with me. 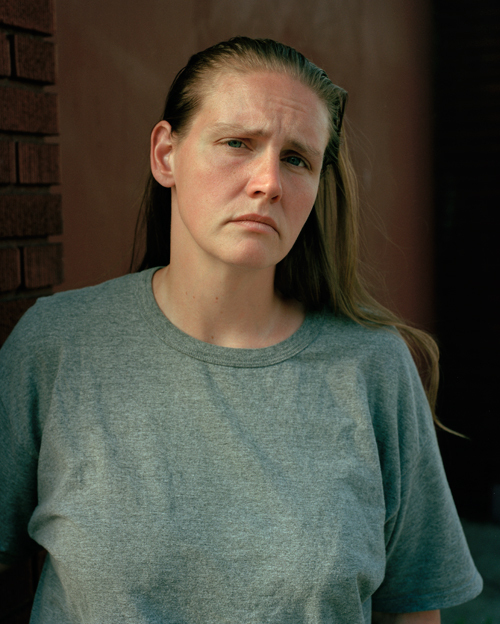 Although she is portraying a community in economic decline (like many towns throughout the U.S.) , there is a strong element of beauty in her portraits. Abigail Smithson: Drawing on your own experience and viewing the work of others, what do you think makes a good portrait? Is there a certain aesthetic you try to accomplish? Tema Stauffer: For me, a good portrait is both a compelling description of the subject and a sense of a connection between the subject and the photographer. 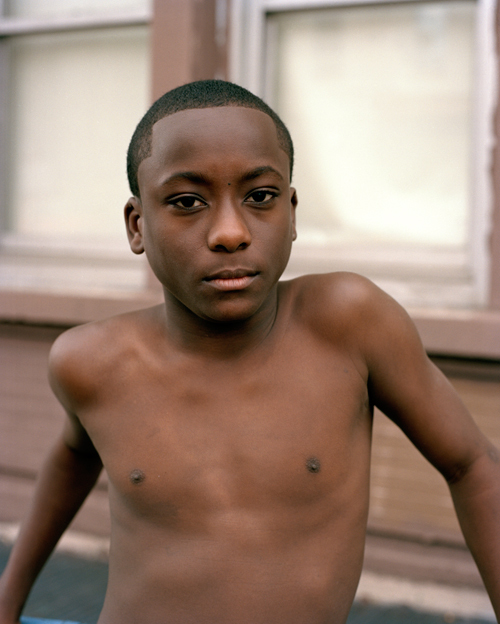 Two contemporary photographers whose work I admire are Rineke Dijkstra and Robert Bergman. In creating my own portraits, I look for subjects who stir something in me. If I don’t have that feeling, then I don’t approach people. And there are many people I don’t end up photographing since, naturally, not everyone is interested. The people who are represented in these portraits are those with whom I have connected. I have spent three years so far working on this portrait series in Paterson and, in some cases, have gotten to know people over time and through repeated encounters. 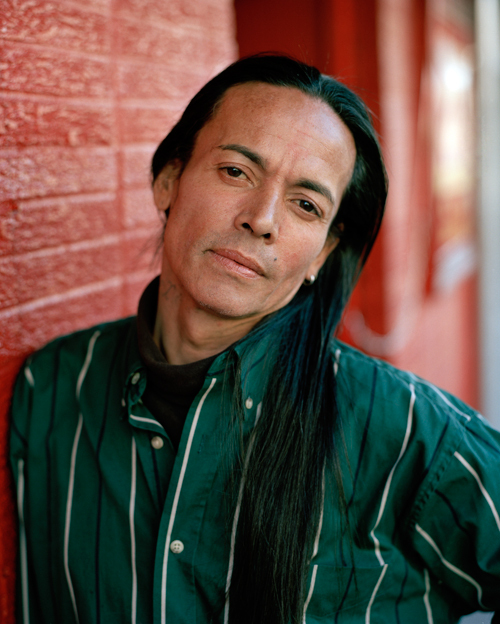 In fact, many people in the city know me as the photographer who is working on a portrait series in Paterson. AS: Are there any feelings that you can infer from your subjects about what they think of the project? Or of Paterson? TS: I can only talk about my interactions with subjects and how they related to me in these relatively brief encounters. I hesitate to assume that I know how people feel about Paterson as a city, but some of their own circumstances are clearly difficult. In terms of the projects and their experience of being photographed, it seems that many of these subjects appreciate being noticed and recognized and feel that they are participating in something. People often tell me pieces of their life stories – whether they’re working or not working or if they are struggling with various issues. Being photographed tends to make people feel open with sharing things about themselves. I’ve heard stories from a war veteran, someone who was formerly transgender and now identifies as a gay man, a number of heroin addicts and alcoholics, and many others who are unemployed and homeless. AS: Do you think the “look” of someone directly correlates with events that they have been through or experienced? 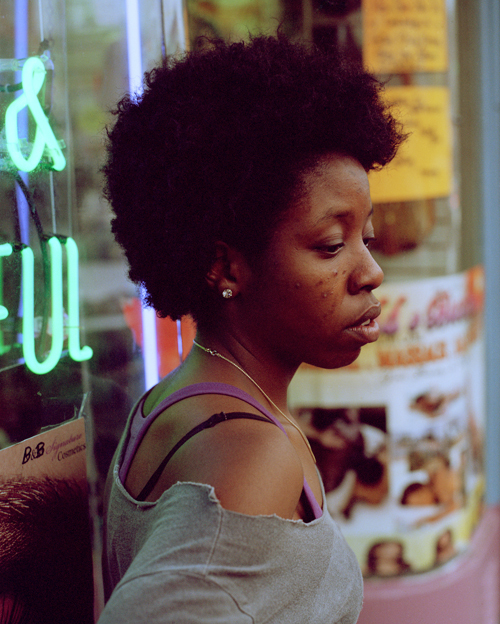 TS: Part of why I was drawn to photographing in Paterson was the diversity of the city. I have tried to represent the many different groups of people who currently comprise Paterson’s population. Beyond someone’s racial or ethnic identity, I do think that each person’s individual life experience leaves an imprint on what they look like and what is expressed through their faces. It’s that imprint that I’m trying to translate through these portraits. AS: What made you choose Paterson as the location for this particular project? TS: In the fall of 2009, I started teaching a photography class at William Paterson University just north of Paterson in Wayne, New Jersey. I discovered Paterson while another faculty member was giving me a ride to school early in the semester. Part of what interested me is that it is a historic city, once thriving from its textile industry, and that now reflects the current economic downturn in so many cities across America. Paterson actually had been declining for several decades prior to the recession. As a photographer, I felt that it was a resonant setting to explore the impact of the economic decline. AS: You mentioned before that more people recognize you now than at the beginning of the project (three years ago). Has anyone ever approached you to have his or her picture taken? TS: I took pictures of a young woman last spring after she approached me asking to be photographed. The subject, Brandi, knew that I was working on this project since she had watched me photograph someone else on another occasion. We walked several blocks trying to find a background we both liked and stopped at the doorway of a building on Straight Street. She also talked to me about being homeless – how she sleeps in an abandoned building by the river and why she isn’t able to stay in shelters. During our walk, she asked a number of strangers for change, and almost everyone gave her something. I’ve noticed this kind of generosity over and over again on the downtown streets of Paterson – people who have less often give more. I’ve seen Brandi a number of times since I shot this portrait. As difficult as her life circumstances seem, she’s warm, friendly, engaging, and hard not to like. She is always interested in hearing about the progress of the Paterson series and seemed to appreciate the photograph I gave her from our shoot. I also more recently took pictures of her and her boyfriend as a gift to them. AS: What equipment do you bring with you when you go into Paterson to shoot? 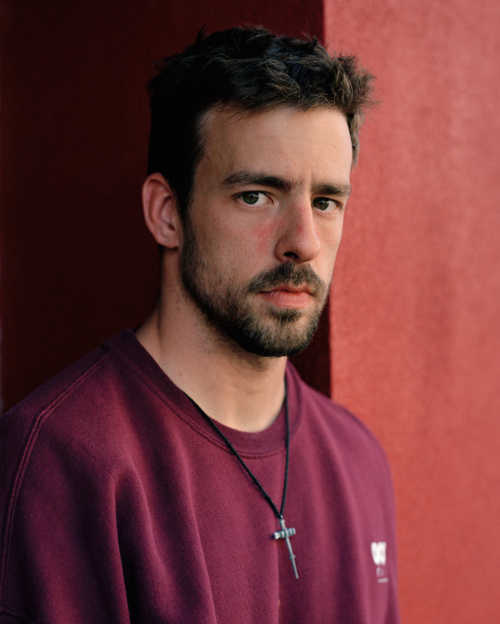 TS: I bring a medium format film camera and shoot all of these images hand-held in natural light. AS: Would you consider the Paterson project to fall into the documentary or fine art category? TS: I don’t draw an absolute distinction between documentary and fine art photography in general. 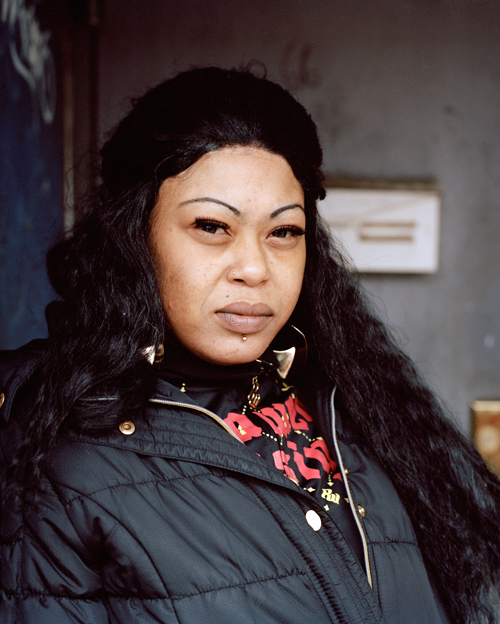 The Paterson series combines aspects of documentary street photography with classical portraiture. I think it is most accurate to describe this project as fitting into a tradition of social realism. 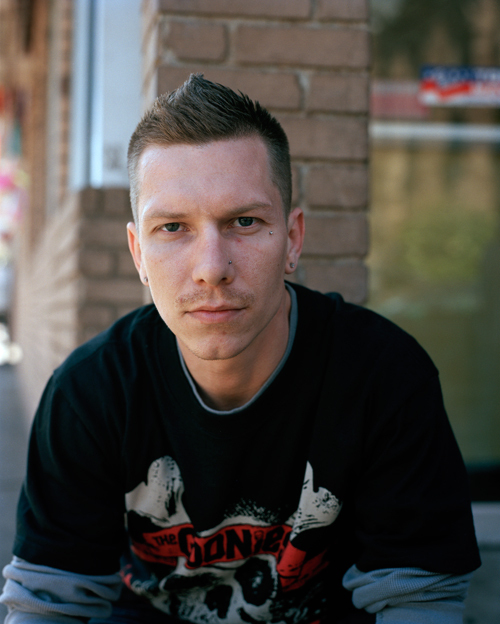 I am trying to portray people on the street mostly where I find them, but none of these images is strictly candid. Each portrait depends on a subject’s participation, and the images are composed to concentrate on the subject’s faces, much like paintings. The backgrounds are suggestive of their environments, often with shallow depth-of-field. Their identities and their expressions speak of human struggles and human dignity. AS: How much of your personal work is shot on film? TS: All of my personal work is shot on film. I can’t say that I’ll only shoot film in this constantly changing climate. But for the time being, I still prefer using film cameras and the quality of film. I like the slower process and the intentionality of shooting film – somehow, I feel more invested in each image. After taking pictures and making the contact sheets, everything else is digital. My negatives are scanned and printed as digital c-prints. AS: What is next for the Paterson project? TS: I don’t feel like the project is finished yet. I plan to continue shooting during the coming year, creating a larger body of work, and capturing even more of the diversity of the city. 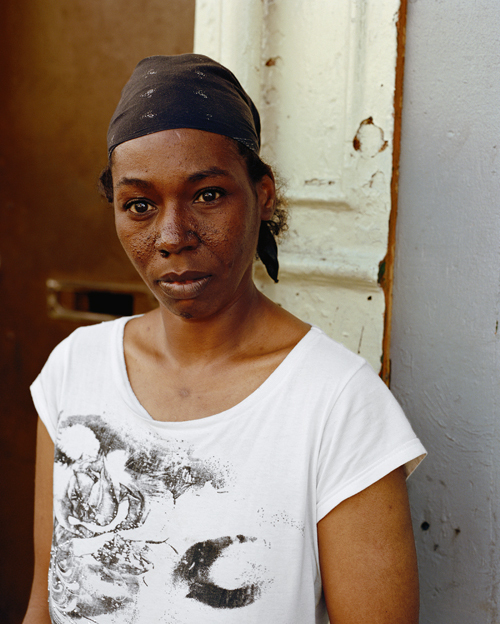 The portrait of Cathy on Market Street was exhibited this fall at the University of the Arts Gallery 1401 in Philadelphia, and will be exhibited at the Smithsonian National Portrait Gallery in the Outwin Boochever Portrait Competition exhibition. Both this and the portrait of Jorge are included in the Photo Review Competition issue to be published in the winter. I was also grateful to receive this year’s Women in Photography – LTI/Lightside Individual Project Grant, which has already helped facilitate the production of exhibition prints of the work. See more of Tema’s work here and follow her blog as she continues with Paterson.